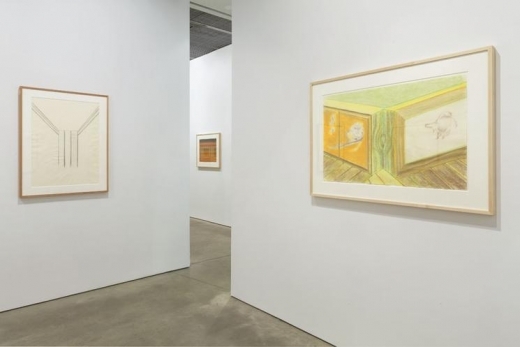 David Nolan Gallery is pleased to present Richard Artschwager curated by Adam McEwen, on view at the gallery from December 10 through January 31. 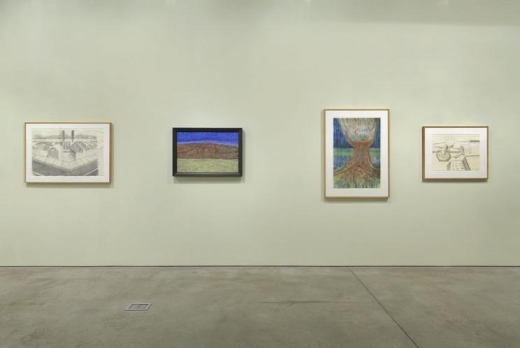 Bringing together a group of landscape pastels and paintings, produced in the final years of the artist’s life, the show will also include paintings from the early 1960s, demonstrating Artschwager’s ongoing engagement with the landscape theme. 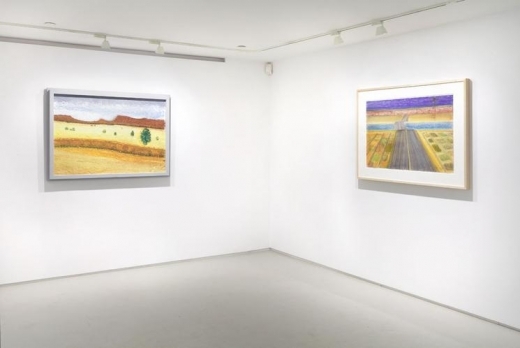 In hindsight, the early works suggest clear precursors to the strong compositional elements – horizontal lines, roads, cacti – that are present in his output. 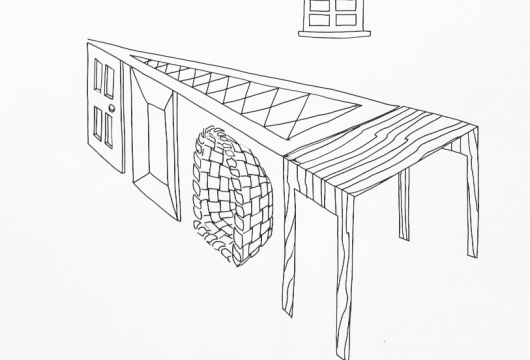 Together they confirm Artschwager’s unique approach, in which a minimal amount of detail is combined with his unusual sense of perspective. 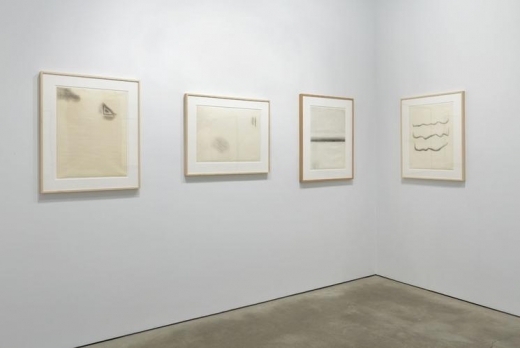 The exhibition is accompanied by a comprehensive monograph on Artschwager’s landscape drawings, with an essay by John Yau. 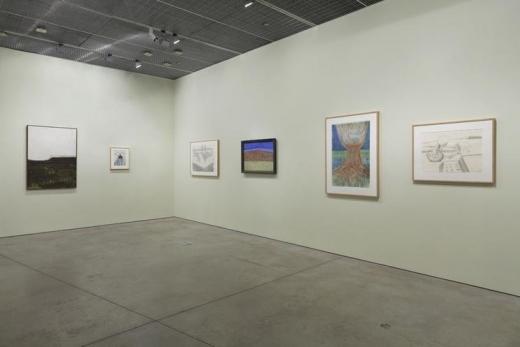 “In 2007, when Richard Artschwager was in his early 80s, he started a new body of work that seemed outside of his practice, surprising even those who paid close attention to what he has done throughout his innovative and challenging career. 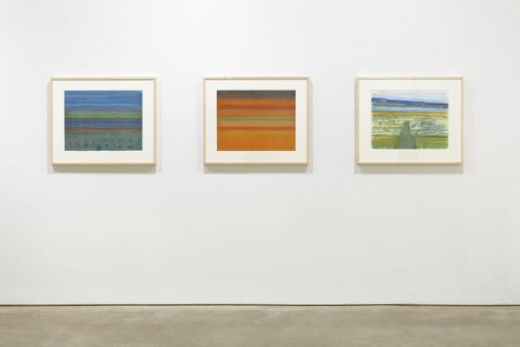 The late-blooming Artschwager, who didn’t have his first solo show until he was 41, had embarked upon something no one could have foreseen: he began making pastel drawings in warm, earthy, luminous colors. Who expected an artist who painted and drew in grisaille for more than four decades would switch to color so late in his life? 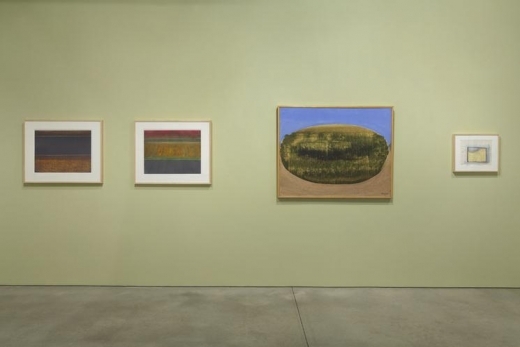 Richard Artschwager was born in 1923 in Washington, D.C. 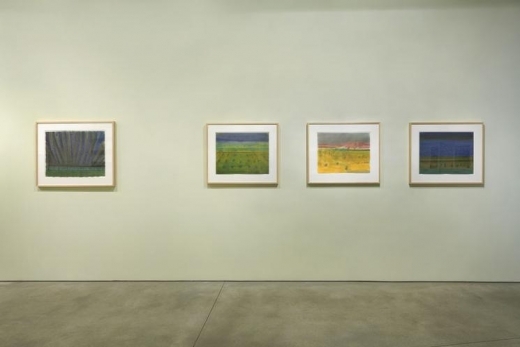 He died aged 89 in 2013, less than a week after the closing his second retrospective at the Whitney Museum of American Art. His work can be found in numerous public collections including The Art Institute of Chicago, the Los Angeles County Museum of Art, The Museum of Modern Art, New York, the San Francisco Museum of Modern Art and Tate Modern, London. 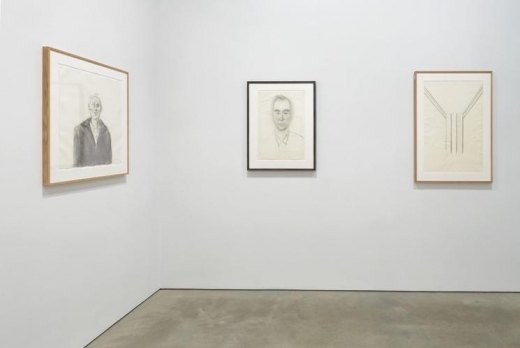 This will be Artschwager’s eighth exhibition at David Nolan Gallery.